“When you focus the light of consciousness, darkness recedes”. 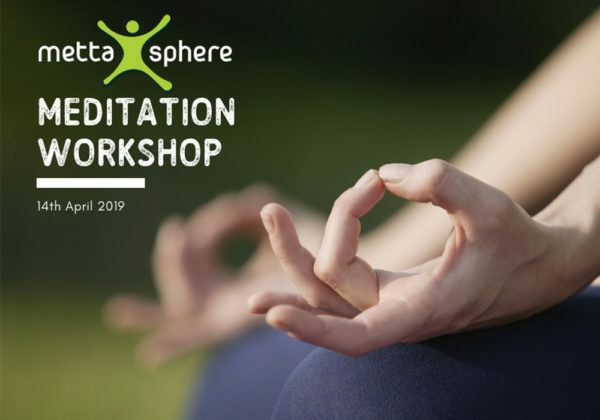 Join us at MettaSphere on Sunday to learn and practice meditation through a guided session. Declutter the mind and start every week energised and refreshed. Take away essentials skills for mindful living. The session also includes a briefing on the current science of meditation and its positive effects on well-being. Meditation is proven to reduce stress, improve concentration and increase self-awareness and happiness. It also has a cascading effect on overall well-being by improving cardiovascular health, enhancing immunity, reducing inflammation and slowing the effects of ageing. The list goes on. All that aside, it fills you with positive energy and provides that awesome, natural, all-day buzz like nothing else can. So what are you waiting for?